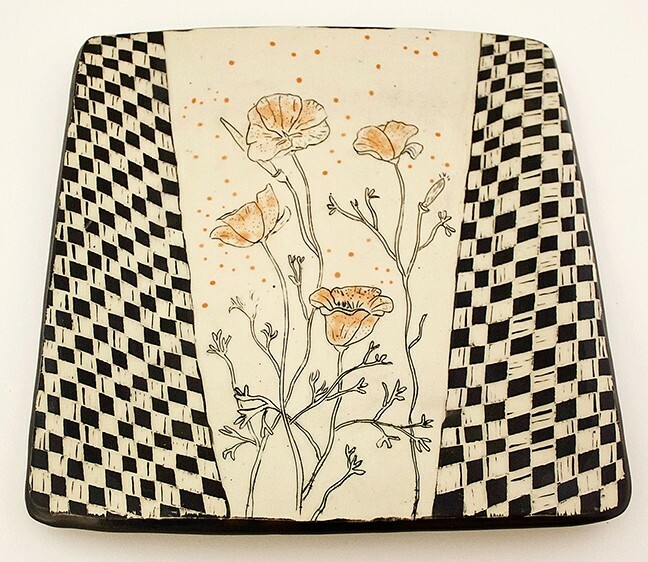 Detailed is the word that jumps to mind when looking at Cambria artist Patricia Griffin’s ceramic pieces, with clear lines in each flower or wave emitting a hand-drawn, whimsical quality, almost like each mark was etched on, which it essentially was. ARTIST AT WORK: Ceramicist Patricia Griffin molds a bowl at her Main Street studio and shop in Cambria. Griffin said she got her affinity for black and white along with clean lines because she grew up in a newspaper family, watching the printing presses whirl at the various papers they used to own in the Salinas Valley. 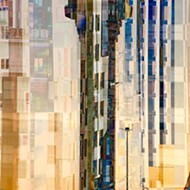 The journalist-turned marketing professional-turned artist specializes in a technique called sgraffito, which is Italian for “to scratch.” The look is achieved by applying layers of color to pottery, then scratching off parts of the layers to create contrasting images, patterns, and texture to reveal the clay color underneath. In her studio and retail shop on Main Street in Cambria, Griffin crafts her own creations by throwing, firing, and glazing all in the same space. She also teaches workshops periodically. 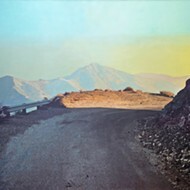 Her exhibit, By The Sea, is currently on display at the San Luis Obispo Museum of Art. Griffin said her pieces in the show were inspired by the natural surroundings of the town she’s called home for more than 10 years, featuring colorful takes on plants, animals, and the rhythms of the natural environment. COASTAL LOVE: Cambria resident and ceramicist Patricia Griffin uses a technique called sgraffito, which is Italian for “to scratch,” on pieces like 'Near the Lighthouse,' which helps her achieve a hand-drawn look in her work. One platter, Ready, Set, Grow, has chipper orange California poppies along a modern black and white checkerboard design. A vessel, Near the Lighthouse, is a trippy, psychedelic take on the beach environment. A series of black, white, orange, and yellow swirls pop against solid blue panels. Griffin, who lives along the Fiscalini Ranch Preserve area, makes a point to walk outside in nature every day. “The whole natural environment has become such a part of my everyday life,” Griffin said. Her shop is filled with a combination of gorgeous oversized vessels clearly meant for display, flat scenes meant to be hung like a painting, and intricately designed mugs or small dainty dishes, perfect for earrings or spare change. While some may debate whether ceramics’ place is high art or functional art, Griffin thinks there’s room for overlap. At home, she has a cupboard filled with mugs made by different ceramicists. NATURE: Pieces like this poppy-inspired platter, 'Ready, Set, Grow,' can be found in Patricia Griffin’s By the Sea exhibit at the SLO Museum of Art. Griffin said she hopes that her pieces in By The Sea stir an interest not just in her work, but pottery and ceramics in general. 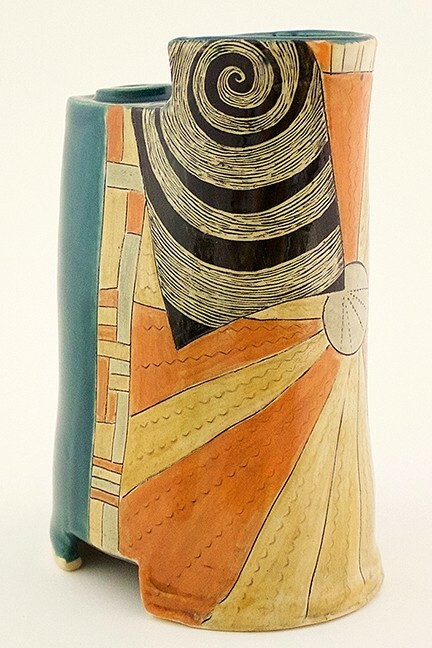 NORTH COAST VIBES : Patricia Griffin’s By The Sea exhibit, featuring ceramics pieces with designs inspired by nature, will be on display at the SLO Museum of Art through July 2. 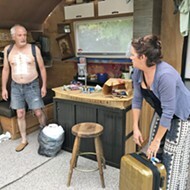 For more on the show, visit sloma.org. 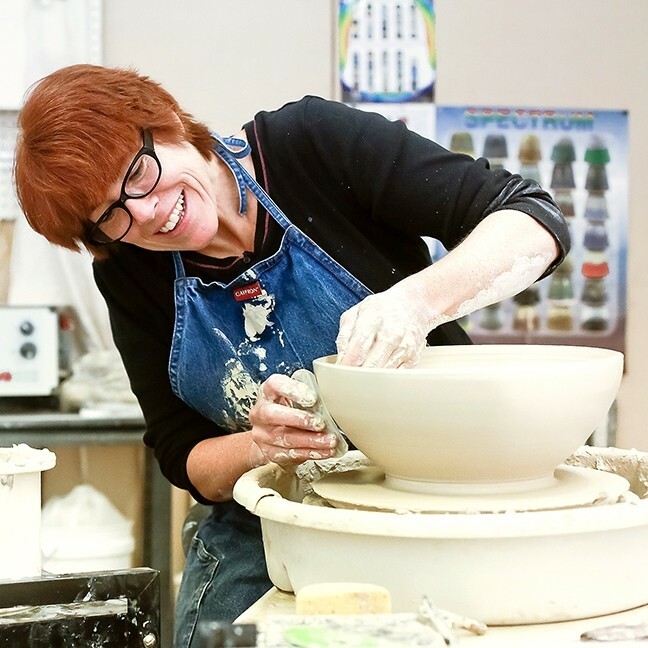 Griffin will offer several two-day pottery workshops at her studio in Cambria in August and September. The cost is $195 per person and includes everything—materials, firing, snacks on both days and lunch on the second day. 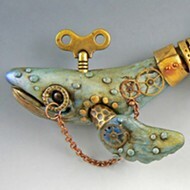 Visit patriciagriffinceramics.com to find out more. Ryah Cooley is an aspiring collector of fine coffee mugs and teacups. Contact her at rcooley@newtimesslo.com.